Glow vision is a PMMA_Single piece Posterior and Anterior Chamber IOL. These are made up of high quality PMMA lens. It is placed behind the iris in the capsule. Implantation inside the capsular bag (first choice) or fix into the sulcus if the capsular bag is damaged. It is the widely used IOL for cataract surgery. GLOW vision PS5220 IOLs are made up of high quality PMMA lens. It is placed behind the iris in the capsule. Implantation inside the capsular bag (first choice) or fix into the sulcus if the capsular bag is damaged. It is the widely used IOL for cataract surgery. GLOW vision PS5525 IOLs are made up of high quality PMMA lens. It is placed behind the iris in the capsule. Implantation inside the capsular bag (first choice) or fix into the sulcus if the capsular bag is damaged. It is the widely used IOL for cataract surgery. GLOW vision PS6025 IOLs are made up of high quality PMMA lens. It is placed behind the iris in the capsule. Implantation inside the capsular bag (first choice) or fix into the sulcus if the capsular bag is damaged. It is the widely used IOL for cataract surgery. GLOW vision PS6030 IOLs are made up of high quality PMMA lens. It is placed behind the iris in the capsule. Implantation inside the capsular bag (first choice) or fix into the sulcus if the capsular bag is damaged. 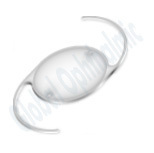 It is the widely used IOL for cataract surgery. GLOW vision PS6530 IOLs are made up of high quality PMMA lens. It is placed behind the iris in the capsule. Implantation inside the capsular bag (first choice) or fix into the sulcus if the capsular bag is damaged. It is the widely used IOL for cataract surgery. GLOW vision PS6535 IOLs are made up of high quality PMMA lens. It is placed behind the iris in the capsule. Implantation inside the capsular bag (first choice) or fix into the sulcus if the capsular bag is damaged. It is the widely used IOL for cataract surgery. GLOW vision Anterior chamber AC6025 IOL is fixed with the support of iris. It is used as backup lens primarily when there is damage to the Posterior Chamber. Anterior Chamber IOL is also used in refractive surgery – implanting a lens in phakic eye to correct the refractive power. Looking for Glow Vision IOL ?